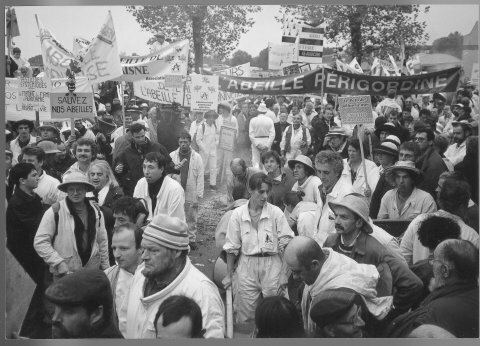 Bayer managers have known the risks of a pesticide class called neonicotinoids for the environment since the beginning of the 90ies. 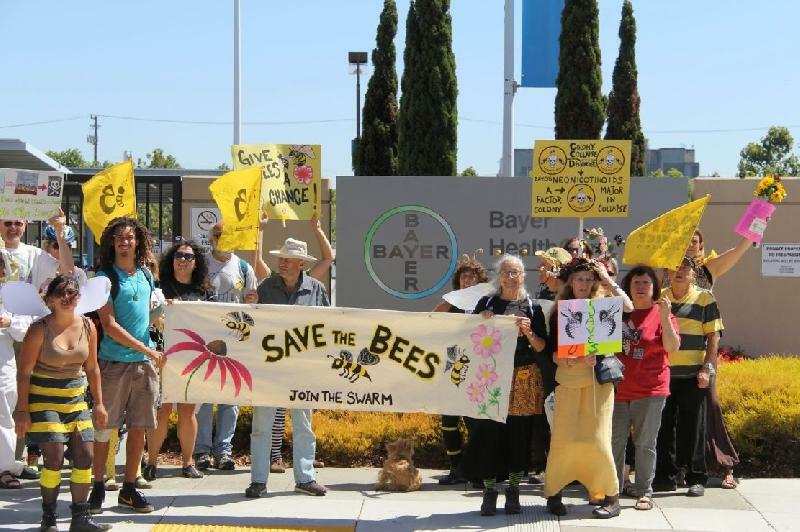 The company downplayed the risks, submitted deficient studies to authorities and accepted the loss of honey bees in many parts of the world. 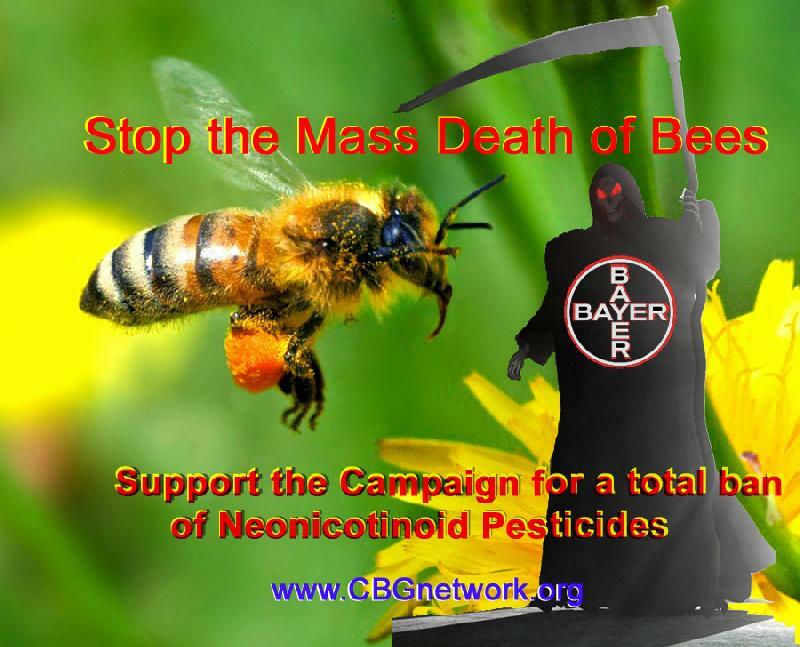 After huge bee deaths in Germany the Coalition against Bayer Dangers brought a charge against Bayer for knowingly endangering the environment. => Poem AND IS THERE HONEY STILL FOR TEA? 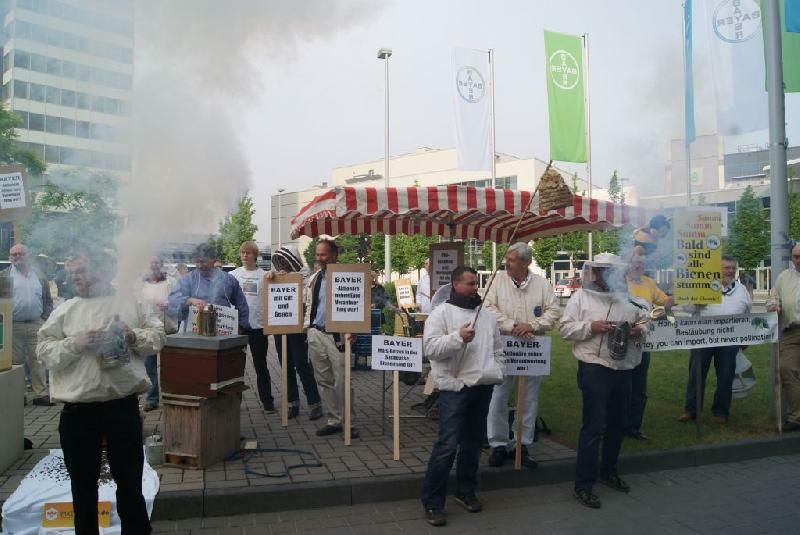 => Bee-keepers and environmental groups demand prohibition of pesticide "Gaucho"